Between Foreign and Family explores the impact of inconsistent rules of ethnic inclusion and exclusion on the economic and social lives of Korean Americans and Korean Chinese living in Seoul. These actors are part of a growing number of return migrants, members of an ethnic diaspora who migrate "back" to the ancestral homeland from which their families emigrated. Drawing on ethnographic observations and interview data, Helene K. Lee highlights the "logics of transnationalism" that shape the relationships between these return migrants and their employers, co-workers, friends, family, and the South Korean state. While Koreanness marks these return migrants as outsiders who never truly feel at home in the United States and China, it simultaneously traps them into a liminal space in which they are neither fully family, nor fully foreign in South Korea. Return migration reveals how ethnic identity construction is not an indisputable and universal fact defined by blood and ancestry, but a contested and uneven process informed by the interplay of ethnicity, nationality, citizenship, gender, and history. 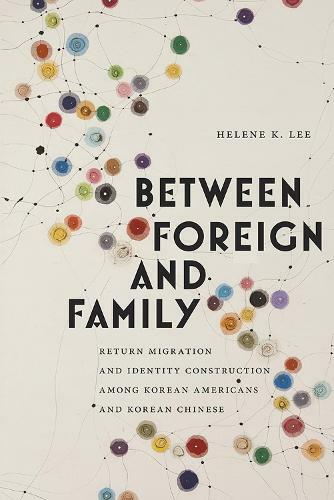 "In this distinct contribution to the field of transnational studies, Helene K. Lee shows how ethnic identity comes to take on a very different significance depending on one's nationality and class position." --Joshua Roth "author of Brokered Homeland: Japanese Brazilian Migrants in Japan "